On a short trip to Targoviste, where I was hopefully going to catch the ISS in transit over the disc of Venus (transit duration: 0.02seconds!) 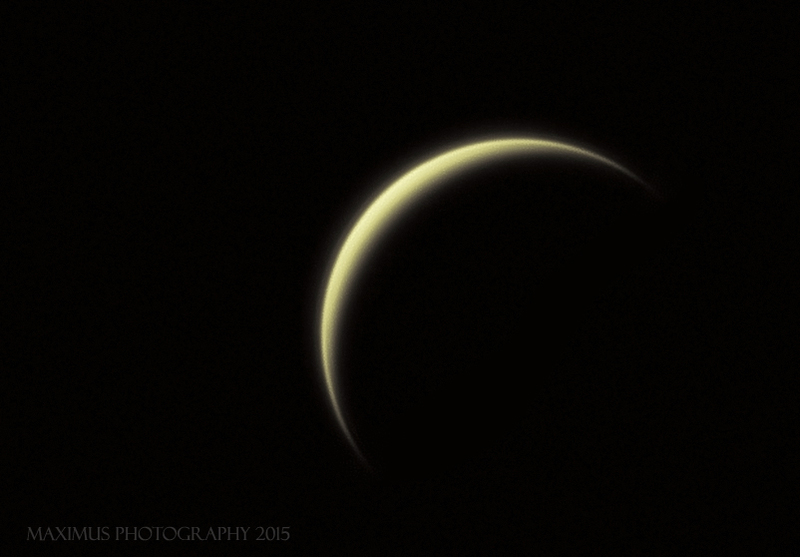 I had the luck of some very good seeing conditions for a short imaging session with Venus. Unfortunately the ISS transit was a total failure due to technical problems (hard drives, focusing…) despite perfectly clear skies, and good seeing conditions. 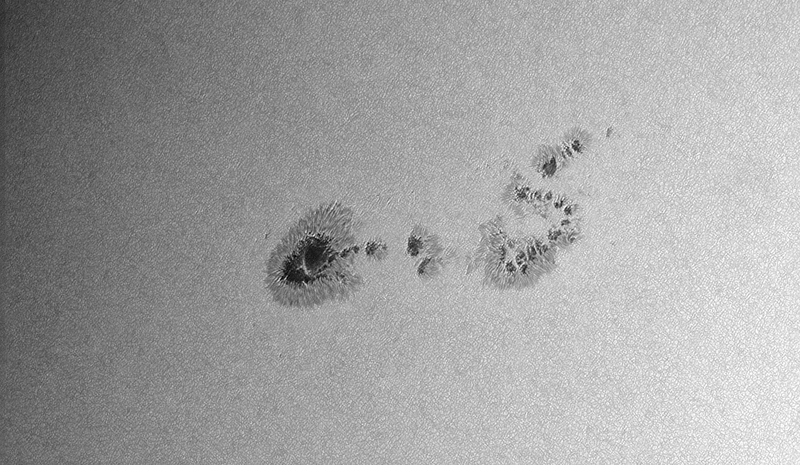 And a step further: composition of the above image with the one from my previous post showing sunspot group AR2403 near the limb of the Sun. Hope you’ll enjoy the image! 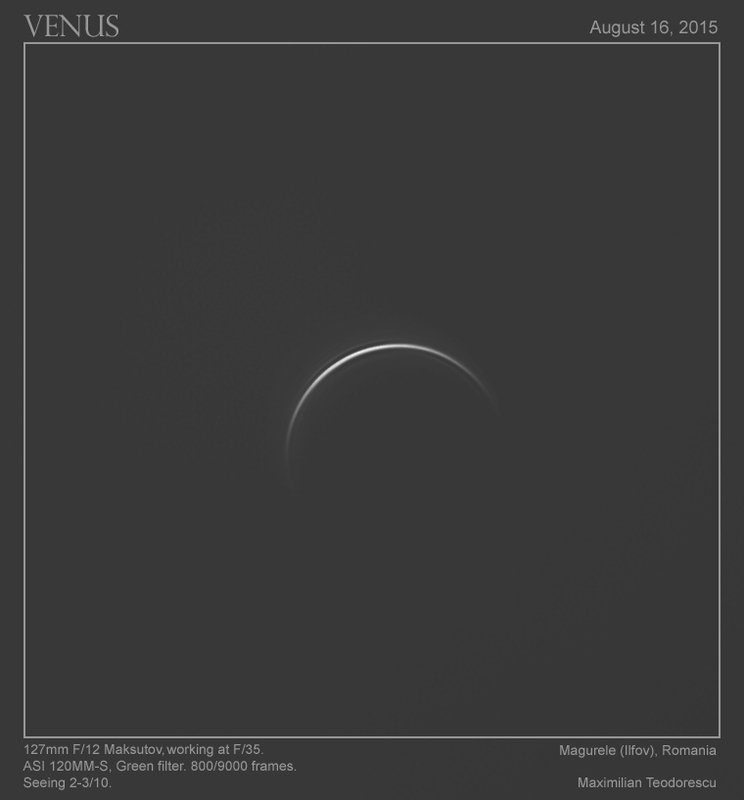 The above images showing Venus were posted by Deborah Byrd on the EarthSky.org website. Thank you Deborah! It’s time to say goodbye to sunspot 2403! 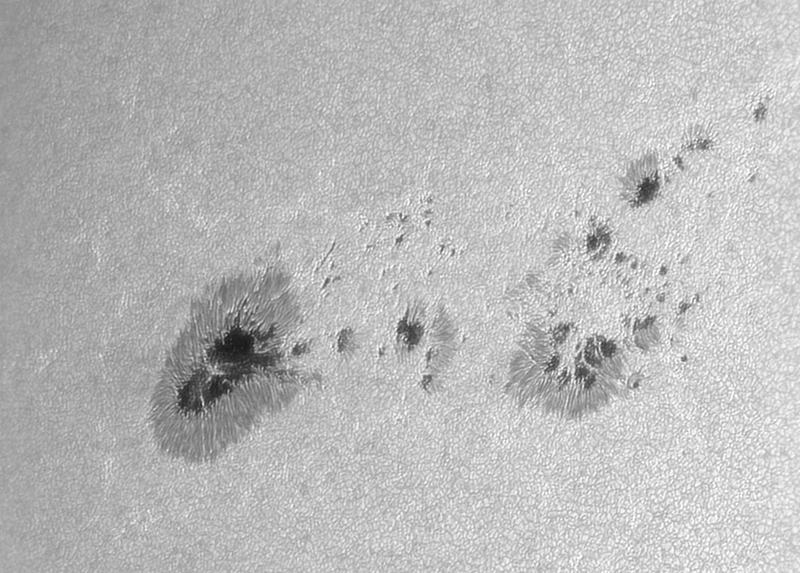 Tomorrow this large sunspot group will be right on the edge of the visible side of the Sun, and eventually will depart altogether. I had to get one final image of it, so I drove a few miles from work and got my homemade 200mm F/5 Newtonian out in a corn field at 32 degrees Celsius. The above image was published on the first page of SpaceWeather on the same day it was acquired. The same image was also posted on the EarthSky.org website. 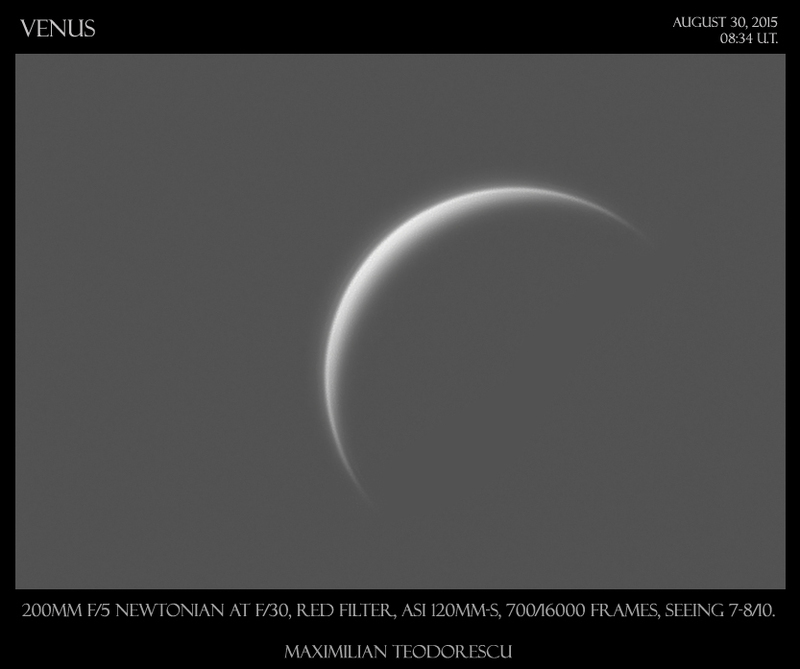 The equipment: 200mm F/5 homemade Newtonian working at F/15, Astrosolar full aperture filter, ASI 120MM-S camera with Baader Red filter. Seeing: 6-7/10. 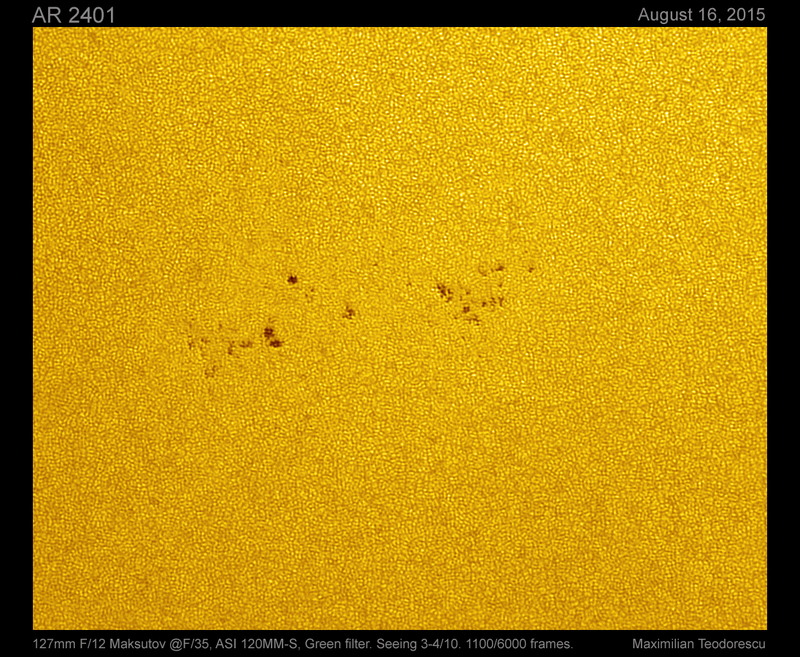 Hope another group like 2403 will be visible on the Sun soon. 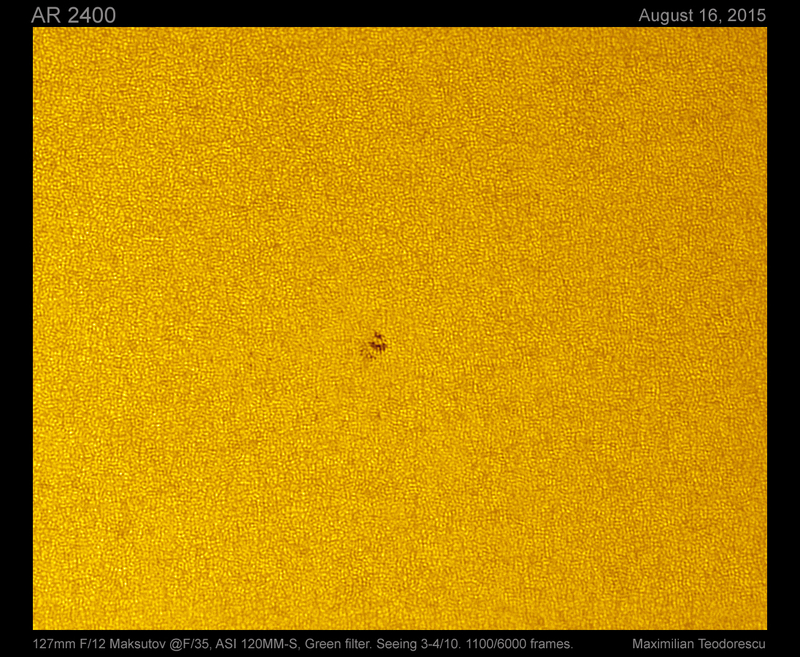 Today I’ve went together with my wife on a small drive a few miles west from our home to shoot a solar transit of the ISS. 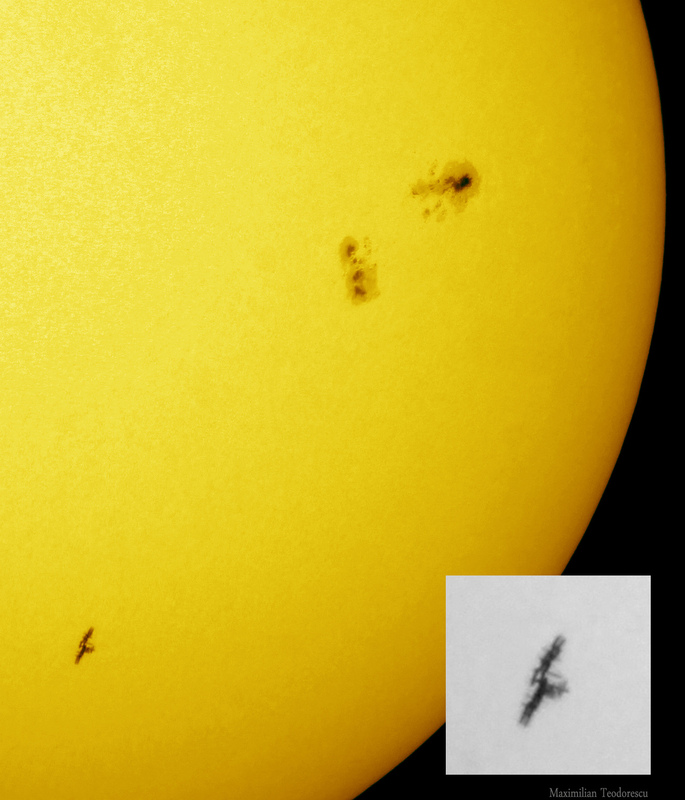 It’s been a while since our last ISS transit, so the event was not to be missed. Luckily enough we had light traffic, clear skies, and good enough seeing at the moment of the transit. Plus a great sunspot group (AR2403) near by. My wife’s imaging setup was a 127mm F/12 Maksutov, while I used a 115mm F/8 APO Refractor and a 2x Barlow lens. 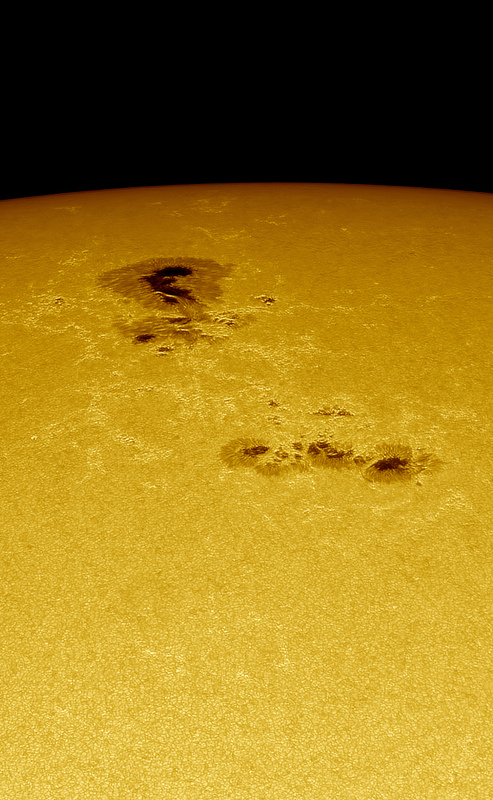 Both with Canon 550D cameras at ISO100 and of course solar filters placed at the front of the scopes. As before, the ephemeris was computed for us by CalSky. Too bad the solar panels were not parallel to the Earth, so we could have had a better view of the ISS. Next time I will have to speak with some of the astronauts 🙂 The ISS looks a bit like a bird in these images. 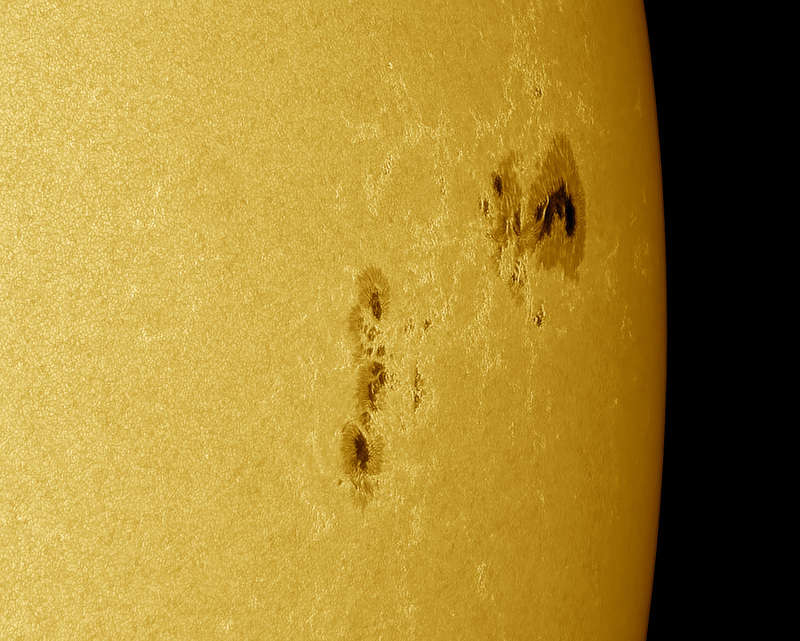 A new sunspot group on the Sun these days, and a new imaging session for me. 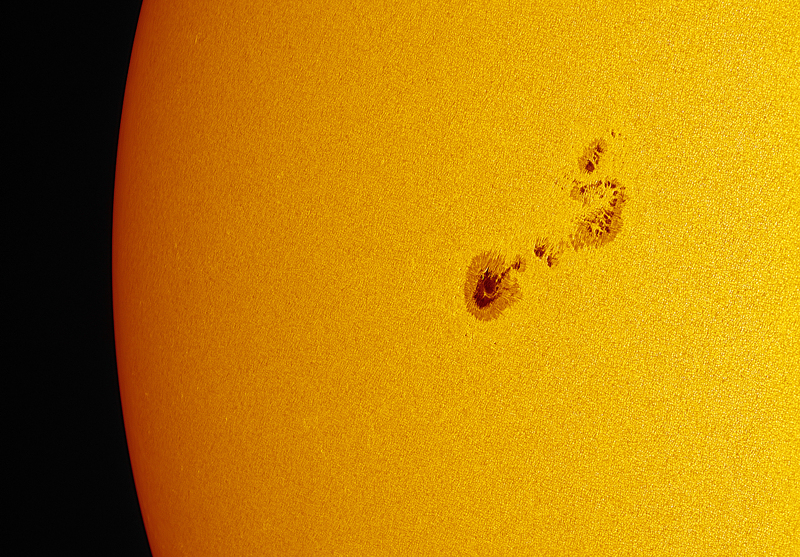 After so many days of clouds and rain (it felt like months), I’ve finally got another chance at imaging the Sun. The seeing did not cooperate too much, but for a few brief seconds a clear window allowed for some fantastic views of the new group. My equipment was the homemade 200mm F/5 Newtonian working at F/20, with a full aperture Astrosolar filter and the ASI 120MM-S camera with a Baader green filter. The seeing conditions were mostly 2-3/10, with the mentioned brief good seeing of 7/10. 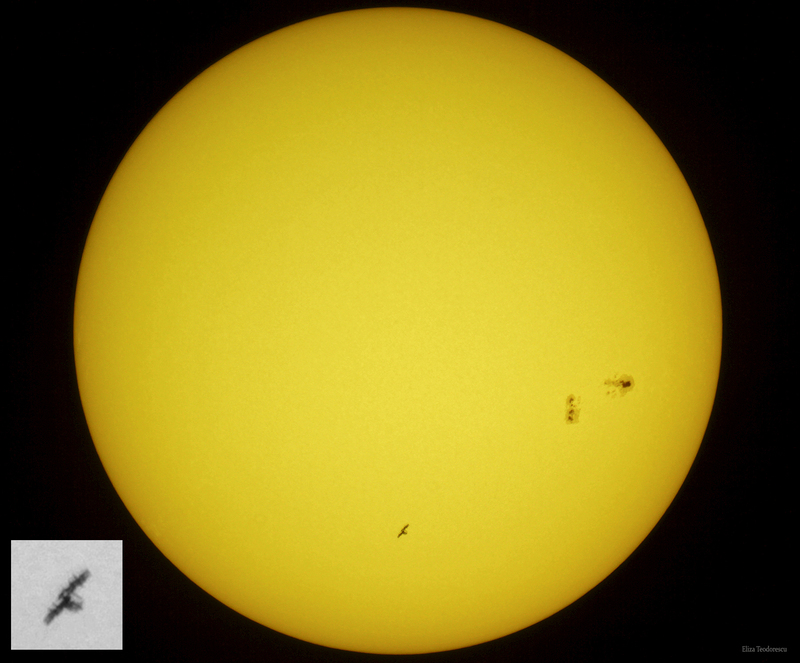 Only 700 frames were stacked for the images below. 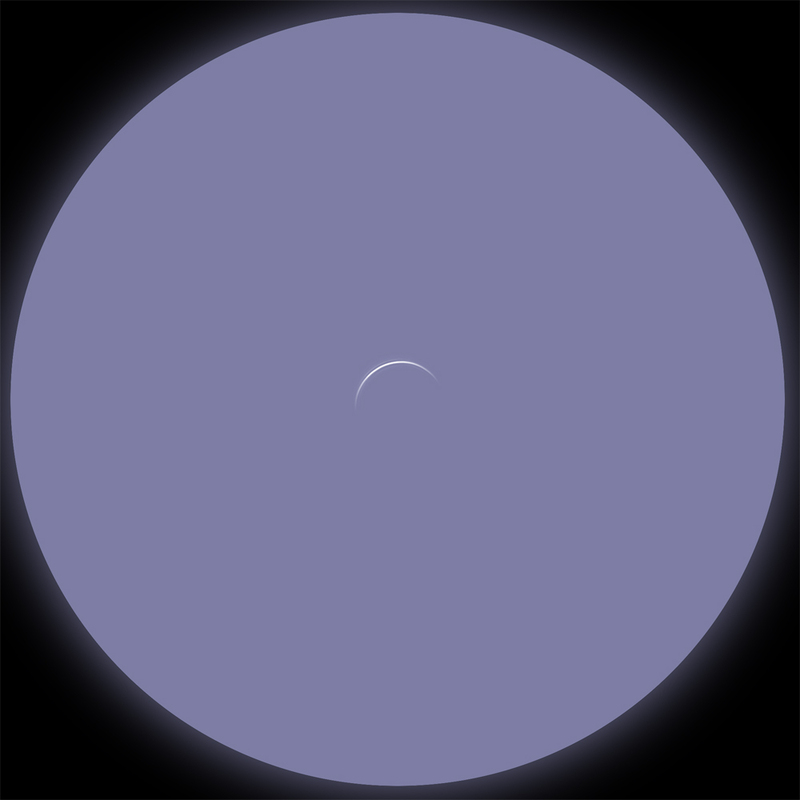 The color version shows the Earth’s diameter also, just as a remainder of how small our planet really is in the Solar System. 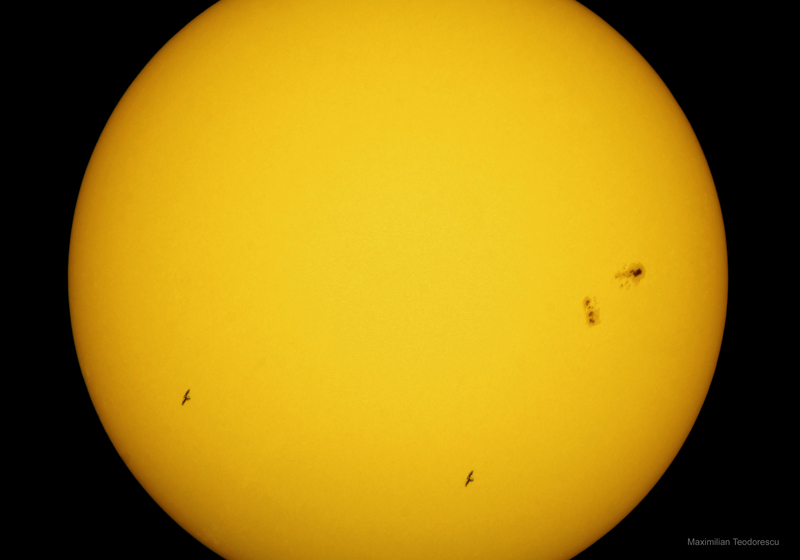 One of the above images was posted by Deborah Byrd on the EarthSky.org website. Thank you Deborah! 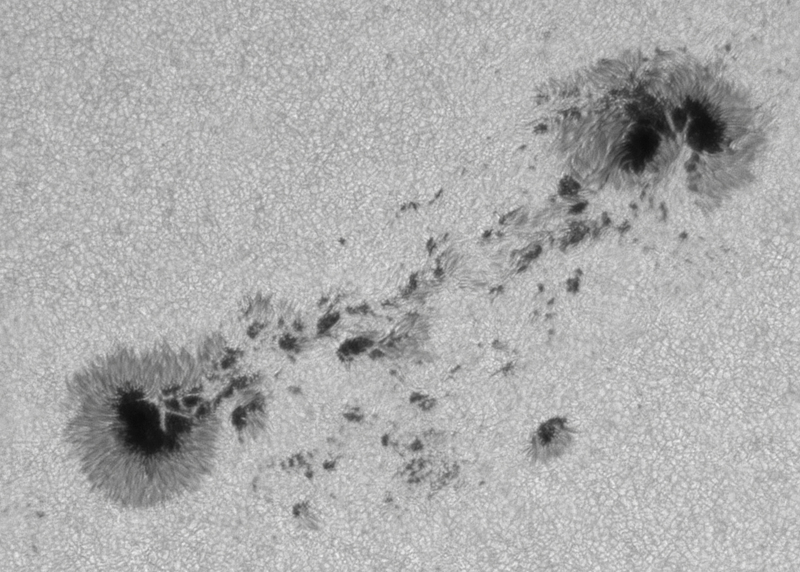 Another imaging session with AR2396. 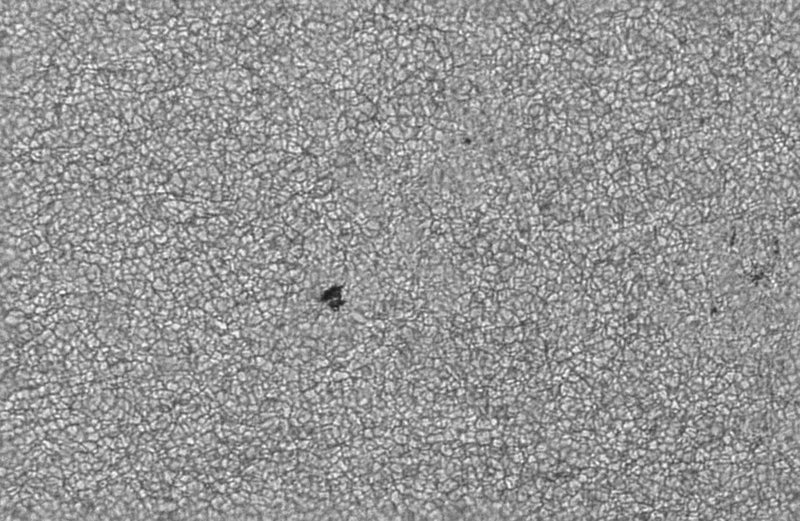 Actually today I had two sessions with this nice sunspot group, one in the morning with a 127mm F/11.7 Maksutov telescope, and another one in the evening with a 200mm F/5 Newtonian scope. 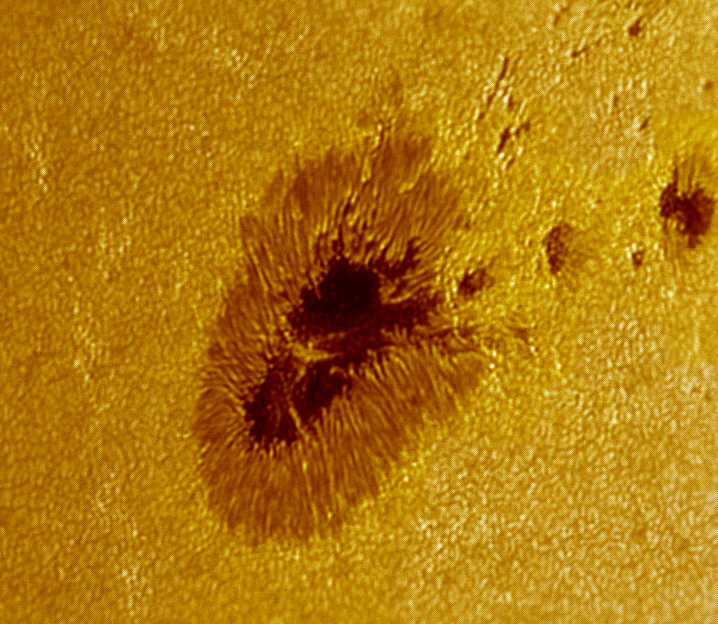 In both cases the amplification factor was 3 (4500mm and 3000mm focal lengths respectively), and the camera used was the ASI120MM-S with a Baader green filter.